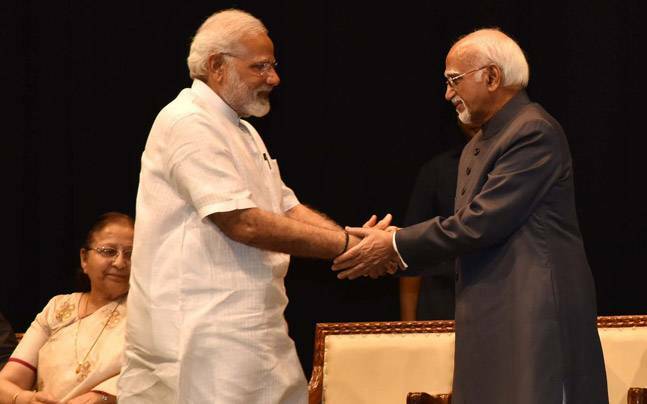 Now former VP Hamid Ansari was quiet but created controversies in office – he suddenly ended the Rajya Sabha session on the last day of the session when the Jan Lokpal bill was being discussed, his refusal to participate in International Yoga Day celebrations, his refusal to salute the national flag, etc. While he fulfilled his VP and Rajya Sabha Speaker duties, he said on his last day in office – “there was a feeling of unease and a sense of insecurity among Muslims in the country“. So was / is the former vice-president only concerned about one community – “muslims” or about all people?